The radical Japanese art group Mavo roared into new arenas and new art forms during the 1920s, with work ranging from performance art to painting, book illustration, and architectural projects. Hurling rocks through glass roofs and displaying their rejected works, Mavo artists held peripatetic protest exhibitions against the Japanese art establishment. Ultimately, Mavo’s work became a major influence in Japanese commercial art and had a pronounced and lasting impact on Japanese visual and political culture. 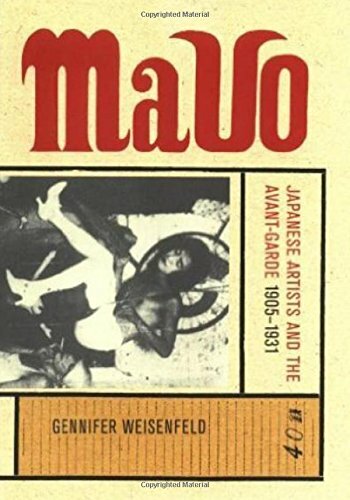 This abundantly illustrated volume, the first book-length study in English on Mavo, provides a critical evaluation of this often outrageous and iconoclastic movement, tracing Mavo’s relationship to broader developments in modernism worldwide. Gennifer Weisenfeld provides a fascinating look into Japanese popular culture by showing how Mavo artists sought to transform Japanese art in response to the rise of industrialism. They deliberately created images that conveyed the feelings of crisis, peril, and uncertainty that were beginning to characterize daily life. Their art often alluded to mechanical environments through the use of abstracted imagery such as interconnected tubular forms and shapes reminiscent of riveted steel-plate girders. Looking in depth at the art itself, the flamboyant personalities of the artists, and the cultural and political history of Japan in this interwar period, Weisenfeld traces the strategies used by these artists as they sought to reintegrate art into daily experience. Weisenfeld thoroughly documents the links between Mavo artists and a wide range of other artistic and political movements with which they associated themselves, such as futurism, dada, expressionism, socialism, and communism. Capturing the restlessness and iconoclastic fervor of Mavo, Weisenfeld is the first to fully locate this modern Japanese artistic community within the broader historical and intellectual framework of international art of the early twentieth century. 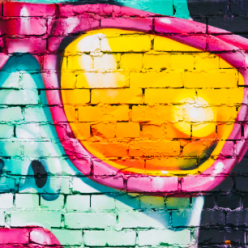 Next Next post: Why is Abstract Art So Popular?